CASTROVILLE, Calif. – (Dec. 30, 2014) – As a result of the recent widespread frosts in California, highly flavorful artichokes known as Frost Kissed™ artichokes are now in stores for a short time. 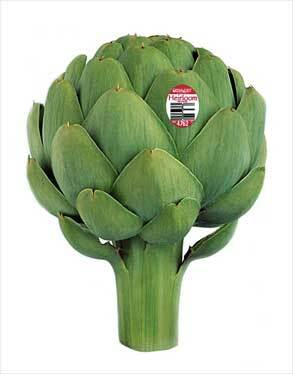 Once cooked, the brown outer layer is gone resulting in the dark green artichoke people are familiar with. 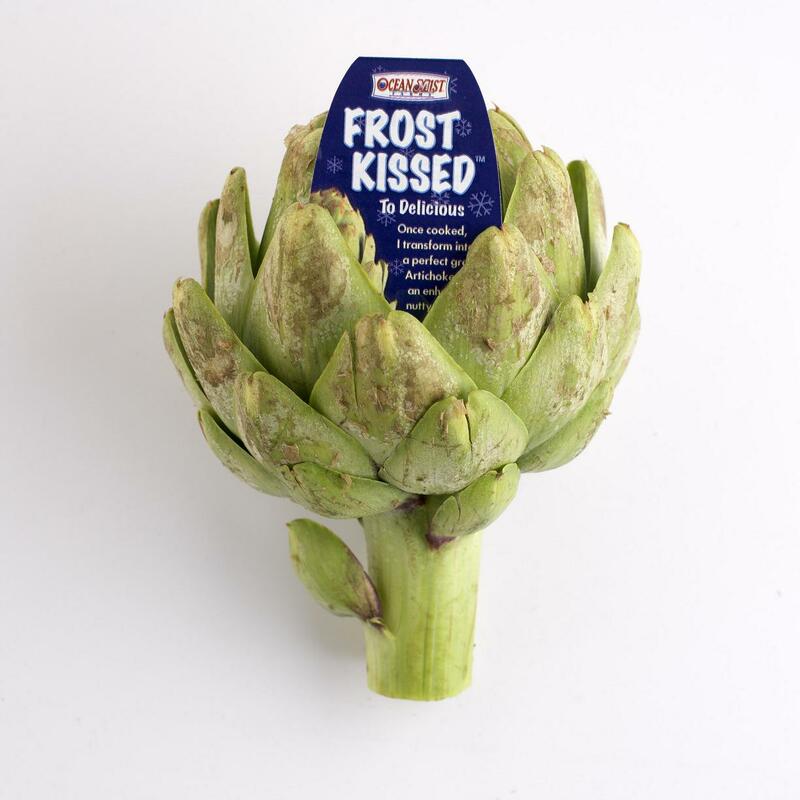 Because Frost Kissed™ artichokes look different than green artichokes, Ocean Mist Farms is implementing an education program to teach shoppers about how good they taste. 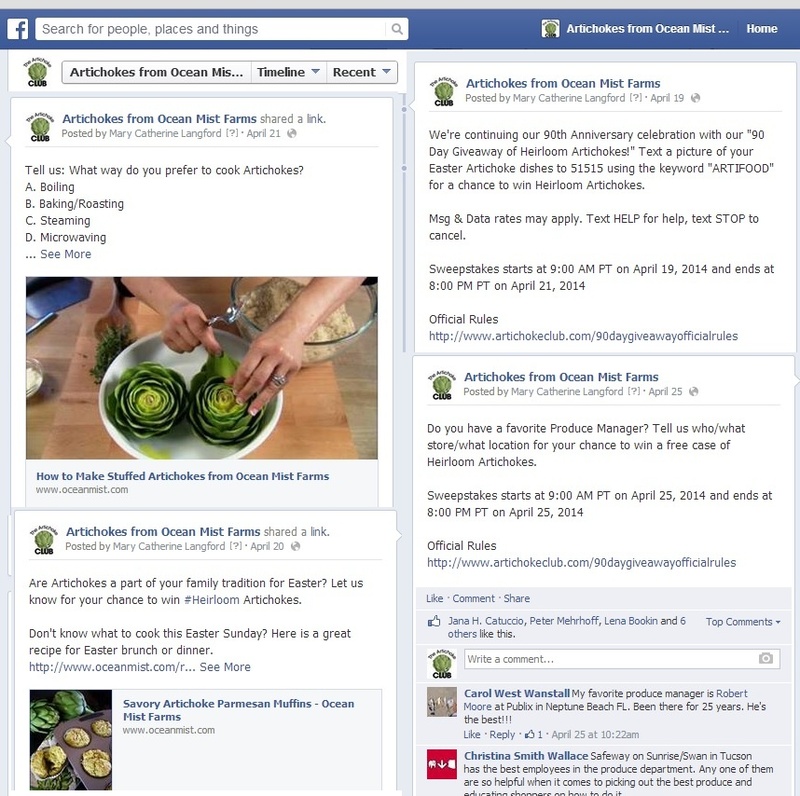 The company has information on its website with pictures and recipes and is sending that information to all members of its Artichoke Club. 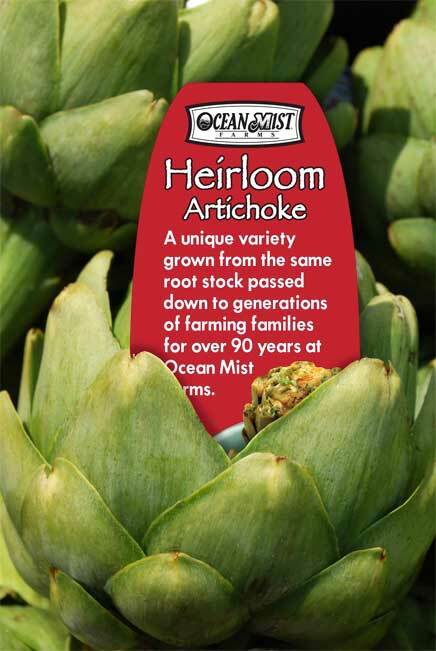 Ocean Mist is also sending display cards to the retail customers who are stocking Frost Kissed™ artichokes in their stores the next few weeks. 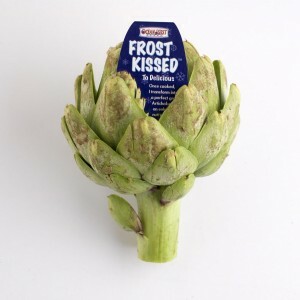 Artichokes become Frost Kissed™ when the temperature drops below 32 degrees. Without further cold temperatures artichoke plants take two to four weeks to start producing frost free artichokes again depending on the severity of the cold and the continued duration. CASTROVILLE, Calif. – Dec. 16, 2014 – Ocean Mist Farms hires Diana McClean as the new director of marketing. She will be based in the company’s headquarters in Castroville and report to Joe Feldman, vice president of sales and marketing. 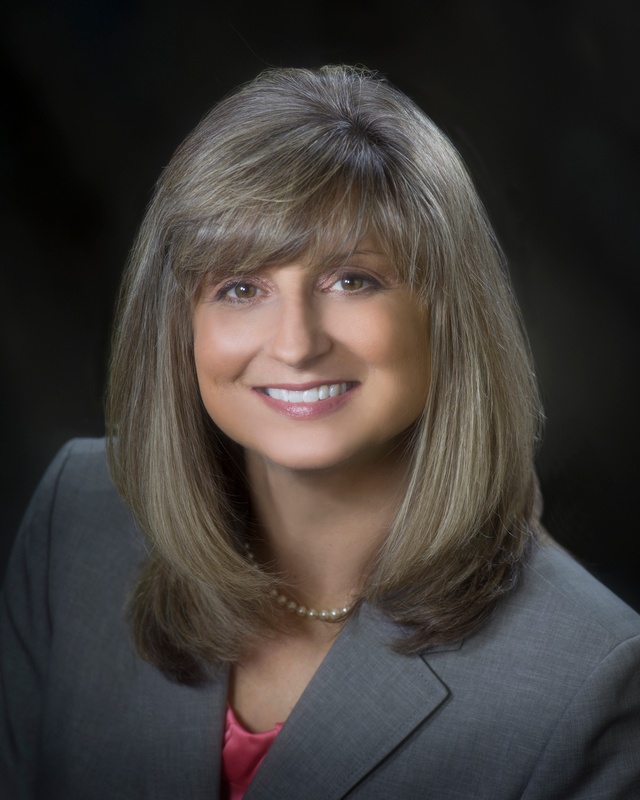 McClean is a produce industry veteran with more than 15 years experience, most recently at Tanimura & Antle where her duties included developing and launching new products, consumer research, package development, managing vendor relationships and directing social media. McClean holds a degree in business administration from CaliforniaPolytechnicStateUniversity in San Luis Obispo. She lives in Salinas with her husband and two children. 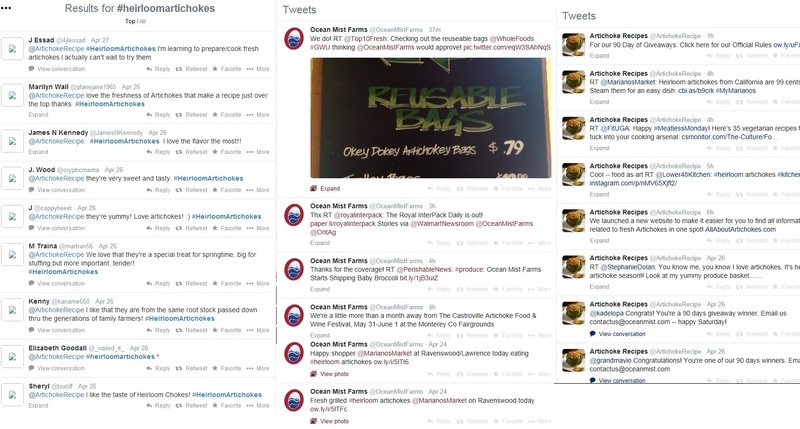 CASTROVILLE, Calif. – Dec. 12, 2014 – The holiday season is here and California fresh vegetable grower Ocean Mist Farms is ready to meet shopper demand. The company is a leading grower of celery as well as a variety of other key vegetables served during the holidays including artichokes, Brussels sprouts, several types of lettuce, green onions and fennel. 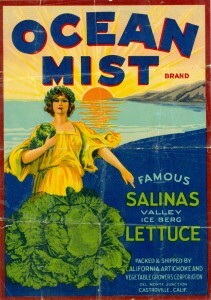 Ocean Mist is working with its retail partners to meet consumer demand for celery and other popular vegetable ingredients. For example, Brussels sprouts, a super food and staple on most holiday menus, are available now. This is the first holiday season that Ocean Mist is offering its full Season & Steam Brussels sprouts product line. Headlined by the popular Quick Cook (halved) Sprouts™, SuperShreds Superfood™ and Microwavable Whole Brussels Sprouts packages, these convenient items can be found in grocery stores across the country as they continue to gain market share since making their debut last January. 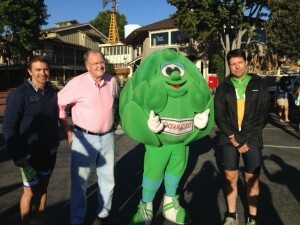 Ocean Mist Farms’ beloved mascot, Arti the Artichoke and US Congressman Sam Farr helped send off the cyclists of the inaugural Tour De Fresh bike event this morning in Carmel, Calif.
Riders from the fresh produce industry are raising money for school salad bars by cycling over 250 miles to the Produce Marketing Association Fresh Summit in Anaheim over the next three days. Tour de Fresh is the first collaborative fresh produce industry event that brings the most significant produce brands and influencers together for a four-day cycling event that raises funds that will benefit the Let's Move Salad Bars to Schools campaign. For more information about the inaugural event, please visit: www.tourdefresh.com/ride-info.php. 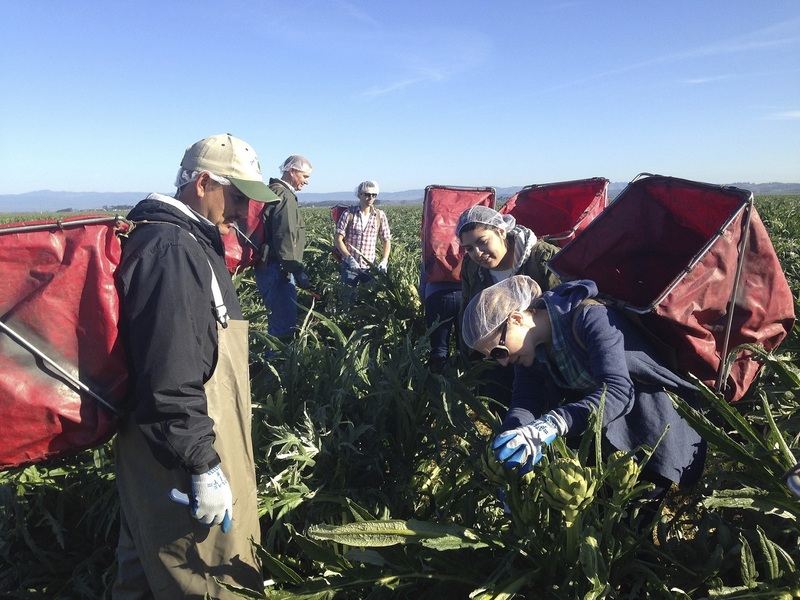 CASTROVILLE, Calif. – Oct. 7, 2014 – Ocean Mist Farms will complete a year-long celebration of its 90-year legacy of growing artichokes and premium fresh vegetables in Castroville, Calif. with several activities as part of PMA in Anaheim. 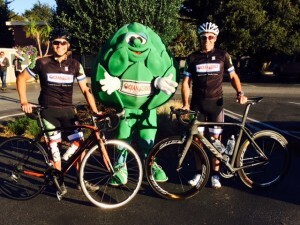 Arti the Artichoke, the company’s award-winning mascot will help open PMA weekend with an appearance at the finish line of the Tour de Fresh inaugural bike fundraising on Thursday, Oct. 16 at noon; details available on Arti's Facebook page. Also during the Expo, Ocean Mist Farms will debut four items: Lacinato kale, sweet baby broccoli, Heirloom artichokes and Kalettes™; and showcase the feature done on the company and its relationships with Chef Tony Baker in the October issue of Food and Wine magazine on newsstands now. The story also includes a feature on an Ocean Mist Farms grower/owner, Troy Boutonnet, and a short video that shows the shared passion Boutonnet and Baker have for working with fresh artichokes. The fourth generation grower-owned company was founded by Italian Immigrants in 1924. They began their business by growing artichokes and Brussels sprouts along the Pacific Ocean’s Monterey Bay. Today Ocean Mist Farms produces more than 30 different fresh vegetables in various locations throughout California, Arizona and Mexico. On April 10, 2013, Lt. Gov. Gavin Newsom proclaimed artichokes as the official state vegetable of California. 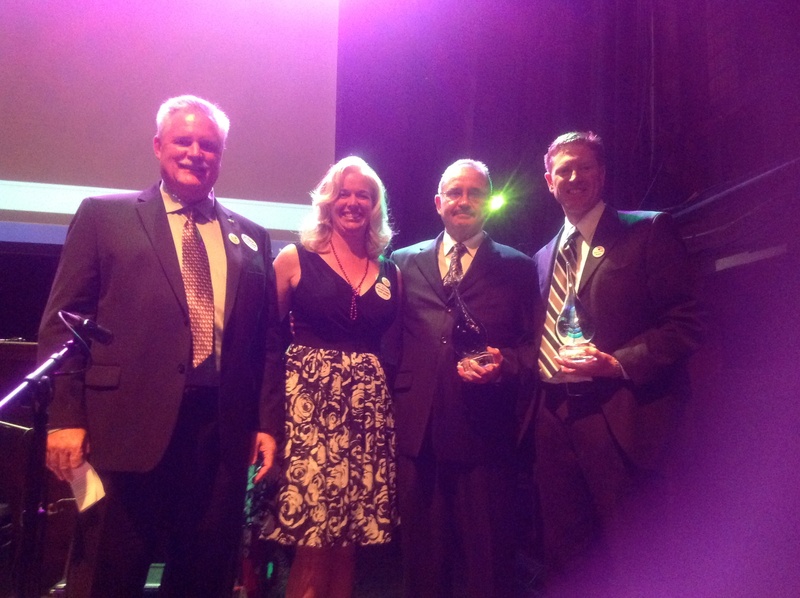 CASTROVILLE, Calif. – Oct. 1, 2014 – Ocean Mist Farms was honored by the WateReuse Association and Research Foundation for its unique and successful water reuse partnerships at the 2014 One Water Innovations Gala on Sunday, Sept. 28 in New Orleans. “The WateReuse Association and Research Foundation works to promote water sustainability through research and education”, said Mike McCullough, the recycled water program assistant with the Monterey Regional Water Pollution Control Agency. Dale Huss, Ocean Mist Farms’ vice president of artichoke production, accepted the award on behalf of the company. Huss is chairman of the Water Quality and Operations Committee of the Monterey County Water Recycling Projects and vice chair of the Water Quality and Project Operations Committee of the Watsonville Water Recycling Project. In his various roles, Huss ensures that Ocean Mist Farms takes numerous precautions throughout production to reduce and conserve water. CASTROVILLE, Calif. – Aug. 25, 2014 – Artichokes, the official vegetable of Monterey County and the state of California will be celebrated at the 78th Annual Monterey County Fair from Aug. 27-Sept. 1. 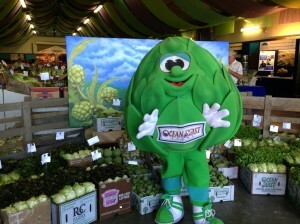 Ocean Mist Farms will help celebrate the fair by sending Arti the Artichoke to the fair on Friday, Aug. 29 to meet fans from 3 p.m. to 6 p.m., in the Ag Building and then throughout the fairgrounds. Interested visitors can visit Arti's Facebook for more details about his appearances. At the fair, Ocean Mist Farms will be serving fried artichokes and artichoke sourdough bisque while entering Ocean Mist’s product line of fresh vegetables, including artichokes, for judging against other locally grown produce. 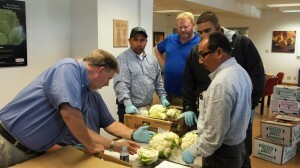 It is an annual tradition for the Ocean Mist Farms harvest managers, crew supervisors and quality assurance team to demonstrate their expertise at putting together special fair packs for the vegetable commodity judging competition. As part of its fair participation, Ocean Mist Farms donates product to the Country Store located in the Ag Building each day of the fair; all Country Store sales proceeds benefit the Monterey County Fair exhibit program and Ag department. CASTROVILLE, Calif. – August 22, 2014 – More than 45 staff in five departments participated in a custom training session led by the United States Department of Agriculture at Ocean Mist Farms’ headquarters in Castroville, Calif., recently. Ocean Mist Farms Quality Assurance Manager Arlin Valenzuela invited the USDA to train staff on how the regulatory agency inspects and grades product at both shipping and receiving points. Several of the more than 30 commodities that Ocean Mist Farms grows were reviewed in depth as part of the training. 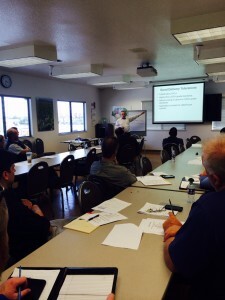 The company included staff from field harvesting, quality assurance, food safety, sales and senior management to ensure that Ocean Mist Farms employees have the opportunity to enhance consistency and reliability of product inspections, benchmarked to USDA specifications at all levels companywide. Valenzuela said the USDA rarely executes a custom training session at a company’s headquarters. The two USDA officials who conducted the training were Mike Morelli, senior training specialist, and Dave Horner, standardizations and master trainer. SANTA MARIA, CALIF. — AUGUST 20, 2014 — Tozer Seeds announced that it has entered into marketing agreements with six companies to grow and market Kalettes, the kale and brussels sprouts hybrid. The companies who have entered into a marketing agreement with Tozer for Kalettes are 4Earth Farms, Classic Salads, Mann Packing, Ocean Mist Farms, Southern Specialties and WP Rawl. As part of the agreement, seeds will be sold by Johnny’s Select Seeds to small farmers and home growers. Tozer Seeds made the decision to enter a marketing agreement with these companies to market under the Kalettes brand to create a consistent name and brand identity, which would allow consumers to easily recognize this new vegetable. Tozer and these companies have committed to supporting the Kalettes brand though public relations efforts, consumer and trade advertising and providing recipes, cooking tips and other forms of content to consumers through the website, www.Kalettes.com, and their social media channels. Additionally, companies who are growing as part of the Kalettes brand are subject to strict product specifications and quality controls. Product specifications include sizing, color and condition which will ensure consistent, top quality product for customers. Kalettes are now available in very limited quantities and distribution will continue to increase throughout the fall and winter as production increases. 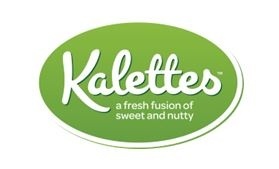 Kalettes will be available to both retailers and food service distributors directly through the companies. For contact information please visit www.kalettes.com/trade-information. For more information on Kalettes, including recipes, visit www.kalettes.com, and for updates on availability like them on Facebook, or follow them on Twitter, Pinterest, and Instagram. CASTROVILLE, Calif. – July 2, 2014 – Ocean Mist Farms’ mascot, Arti the Artichoke, won the Fan Favorite Contest against other Salinas Valley company mascots in a social media contest conducted by the California Rodeo Salinas. The contest, held on the California Rodeo Salinas Facebook page invited fans to vote for their favorite produce mascot by leaving comments in the photo album online. The contest ran from June 16-30. Arti won by earning 56 percent of the total votes and was declared the winner on July 1 with a special trophy presentation at the company’s headquarters in Castroville, Calif.
Tuggle credits Ocean Mist Farms’ employees, Artichoke Club members and Arti’s Facebook page fans for voting for Arti throughout the contest. 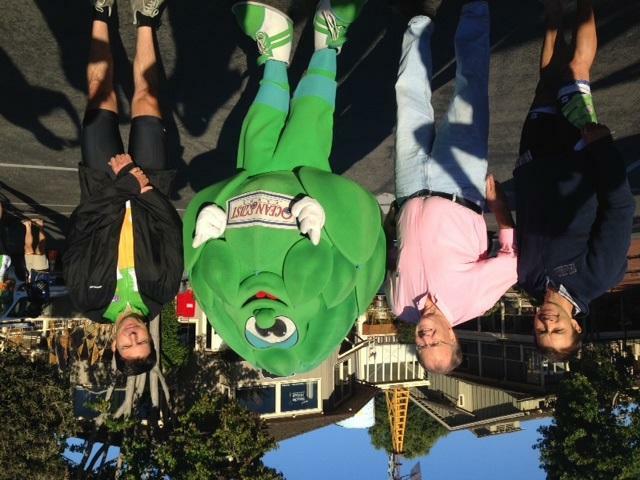 Arti will make his next appearance, July 18 at 6:30 p.m. at the California Rodeo Salinas. 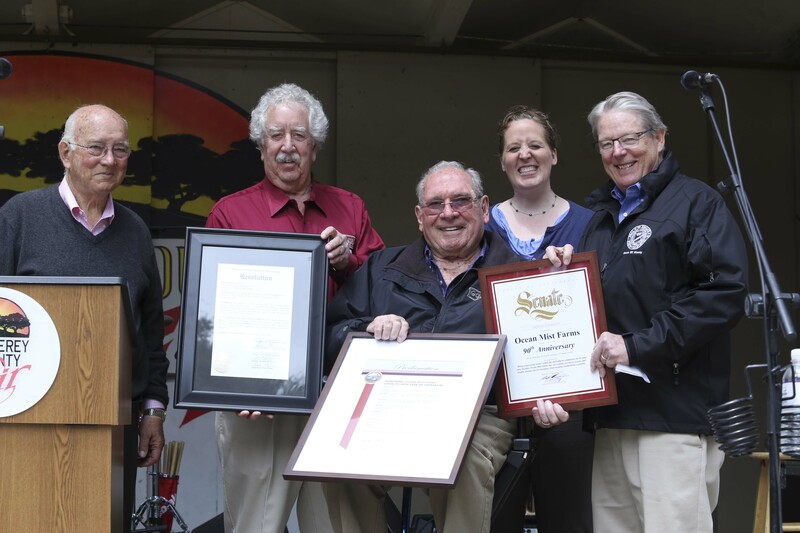 CASTROVILLE, Calif. – June 2, 2014 – Ocean Mist Farms celebrated a 90-year legacy of growing artichokes and premium fresh vegetables at the 55th Annual Castroville Artichoke Food and Wine Festival. The fourth generation grower-owned company was founded by Italian Immigrants in 1924. They began their business by growing artichokes and Brussels sprouts along the Pacific Ocean’s Monterey Bay in Castroville, Calif. Today Ocean Mist Farms produces more than 30 different fresh vegetables in various locations throughout California, Arizona and Mexico. On April 10, 2013, California Lt. Gov. Gavin Newsom proclaimed artichokes as the official state vegetable. On Saturday, May 31, Ocean Mist Farms was honored for the impact it has made in the community since 1924 at a presentation that was part of the Castroville Artichoke Food and Wine Festival’s official program. On the Monterey County Fairground main stage, Monterey County Supervisor Lou Calcagno, State Senator Bill Monning and Amy Uber, Senior Agricultural Economist from the California Department of Food and Agriculture paid tribute to the company and presented Ocean Mist Farm’s CEO Ed Boutonnet and grower/owner Hugo Tottino with proclamations and commemorative plaques. In addition to the festival celebration, the company accomplished numerous projects this year to mark its anniversary including the redesign of the company’s two websites, oceanmist.com and artichokeclub.com, and the creation of a new site allaboutartichokes.com; rebranding its original root stock variety that dates back to 1924 as an Ocean Mist Farms Heirloom Artichoke. Ocean Mist Farms also produced a new video that shares the history of its 90 years in business. 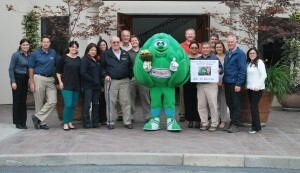 CASTROVILLE, Calif. – April 28, 2014 – This spring, Ocean Mist Farms is celebrating its 90th anniversary in business by giving away field fresh artichokes for 90 days. 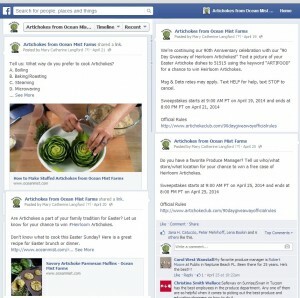 Starting March 1, the beginning of Heirloom artichoke season, the company is giving away artichokes until the 2014 Castroville Artichoke Festival May 31-June 1 in Monterey, Calif.
Here’s how the giveaway works: Ocean Mist Farms connects with consumers via its social media channels and its almost 40,000 Artichoke Club members. 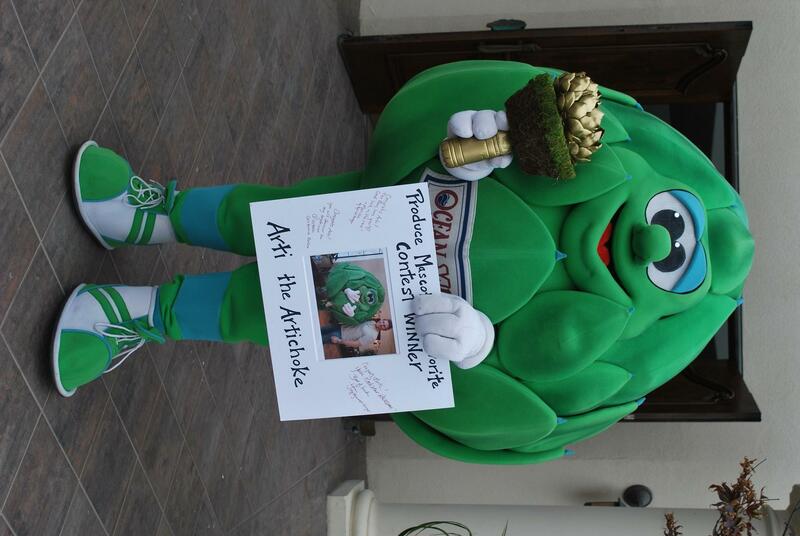 Artichoke consumers and fans are notified to enter to win daily via text, Twitter or Facebook posts and artichoke club newsletters. Throughout artichoke peak season, the giveaway has increased the company’s direct artichoke consumer engagement and dialogue activity level. 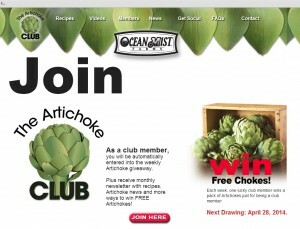 Anyone can enter, but to win entrants must be members of Ocean Mist Farms’ Artichoke Club. 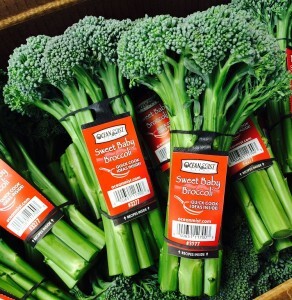 CASTROVILLE, Calif. – April 22, 2014 – This spring Ocean Mist Farms added a new commodity to the more than 30 fresh vegetables the company grows and sells: Sweet baby broccoli. Starting this week, the company is offering a year-round program of this unique commodity in an 18-count pack: Iced or iceless format. A cross between broccoli and Chinese kale, sweet baby broccoli has a sweeter flavor than ordinary broccoli. It features long, thin stalks and small floret clusters that often contain edible yellow flowers. 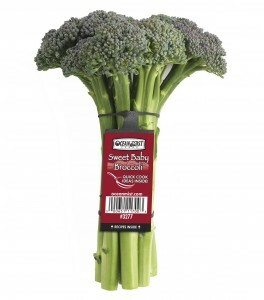 The Ocean Mist Farms hang tag includes “quick cook” recipes to educate shoppers on how easy and versatile it is to cook with sweet baby broccoli. Ocean Mist Farms added sweet baby broccoli to its product line in order to meet growing consumer demand for the vegetable, said Joe Feldman, vice president sales and marketing. According to Nielsen Perishables Group sales data, the sweet baby broccoli category grew 12.7% in dollar sales and 12.6% in volume sales year-over-year, with dollar sales topping $9.5 million (latest 52 weeks ending 2/22/14, total U.S.) The top-selling item was the unbranded bulk baby broccoli, PLU 3277, where dollar sales were up 9.4% and volume sales were up 9.2% year-over-year, with dollar sales more than $3.8 million. “This is a logical addition to our product line,” Feldman said. CASTROVILLE, Calif. – March 31, 2014 – Ocean Mist Farms rebuilt www.oceanmist.com from the ground up in order to improve the online experience for all site visitors. The new site is now in a fully responsive format that makes it user friendly for any device: desktop or mobile. Beyond staple vegetables such as Iceberg lettuce and broccoli, Oceanmist.com is a largely visited online resource for specialty item content such as artichokes, Fava beans, cardone and Brussels sprouts. Content includes helpful facts such as how and where the product is growing, and videos showing how the fresh vegetables are grown and harvested. 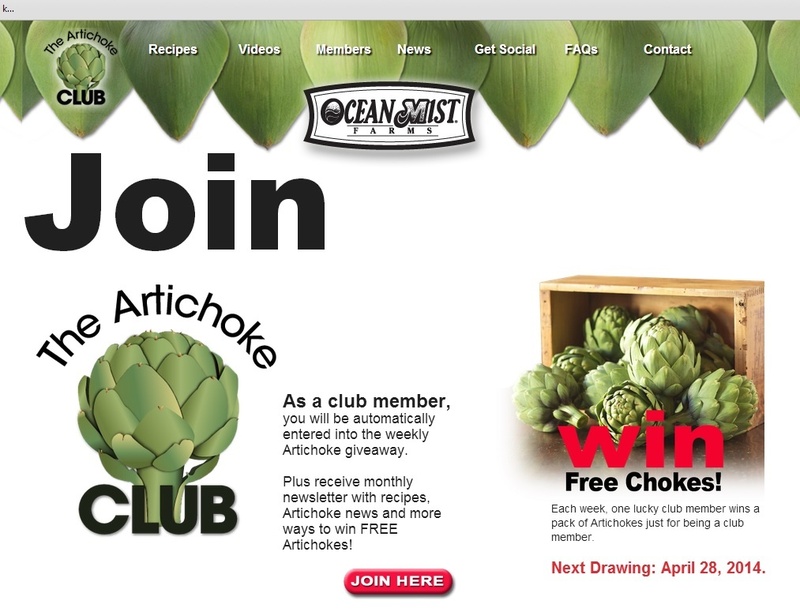 For its exclusive audience of almost 40,000 Artichoke Club members, Ocean Mist Farms created a separate domain and site: www.artichokeclub.com to help engage and grow membership. “The goal of our website rebuilds was to modernize the backend and frontend content to make it more consumer friendly while improving the user experience,” Tuggle said. “Not very many people have seen how Brussels sprouts grow or are harvested. Our updated site will make it easy to find and watch this video directly on any device. 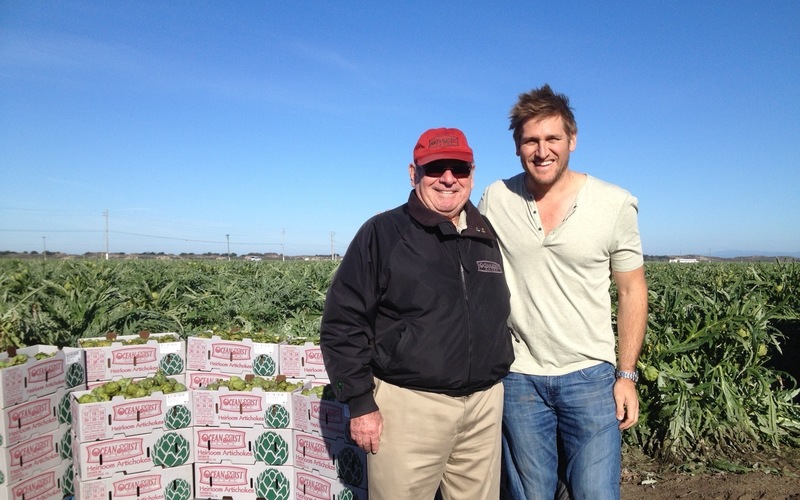 CASTROVILLE, Calif. – February 25, 2014 – March is the beginning of peak artichoke season and Ocean Mist Farms is supporting sales and celebrating the company’s 90th anniversary with multiple activities designed to generate sales and consumer awareness for fresh artichokes. The family farmers of Ocean Mist Farms, the largest grower of artichokes in North America, have been growing Heirloom artichokes for 90 years. 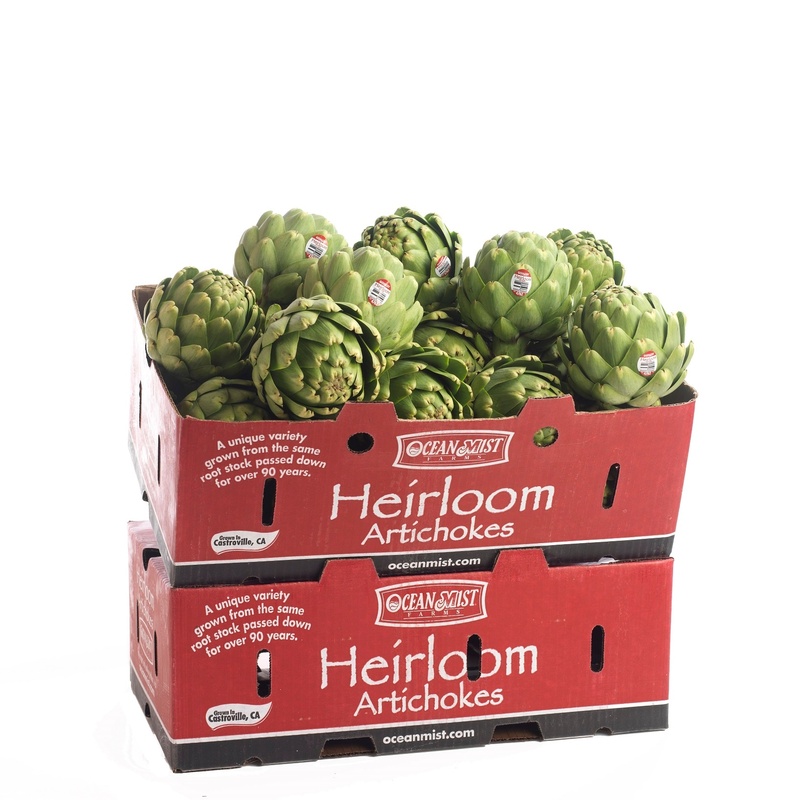 The HH Heirloom artichoke variety is a perennial plant that grows from original root stock that dates back to the start of Ocean Mist Farms in 1924. The formal classification of an Heirloom fresh fruit or vegetable is any distinct variety that grows and has been in trade for more than 50 years using the same lineage. 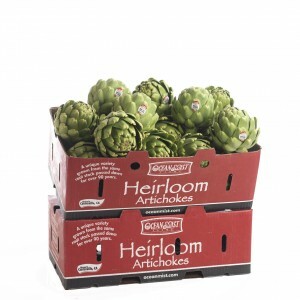 Like a family recipe, this unique variety of artichoke grows only from the same root stock that has been passed down to each generation of Ocean Mist family farmers for more than 90 years — never from seed. Artichokes are such a strong part of California history that they were recently named the Official State Vegetable of California. Peak volume of the Castroville Heirloom crop is March through May, Tuggle said, and all the Heirloom artichokes out of Castroville will be branded with a red PLU/UPC sticker to help consumers find the Ocean Mist Farms’ Heirloom variety. 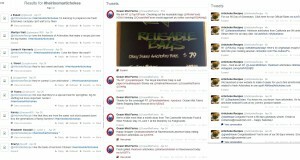 “During the peak three months, we are focused on a multi-faceted promotional strategy with elements that include retail display contests, radio ads in Northern California, social media contests featuring the hash tag #heirloomartichoke that drive consumers to purchase, custom in-store point of sale, display bins and petal inserts. 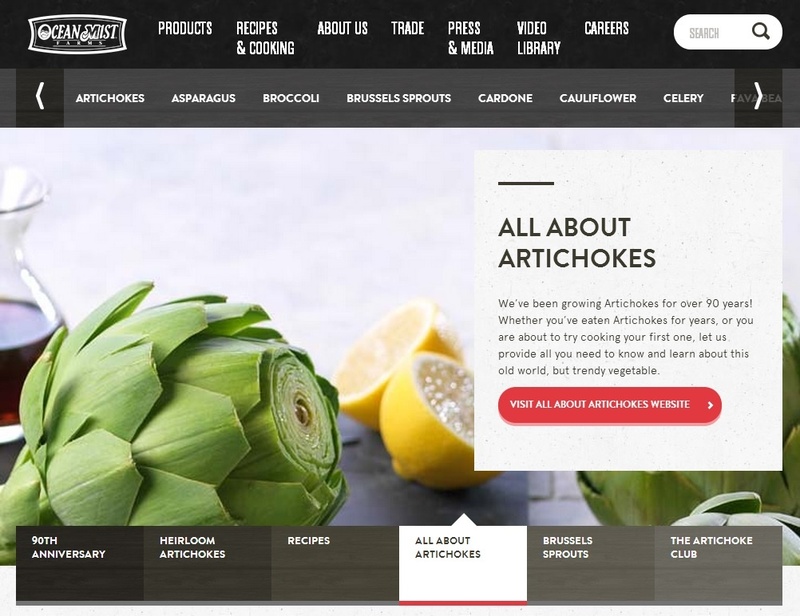 We will also activate geo-marketing with our emailed Arti-Alerts to promote with our artichoke club members when retailers have Heirloom artichokes on sale-specific to where shoppers live,” Tuggle said. 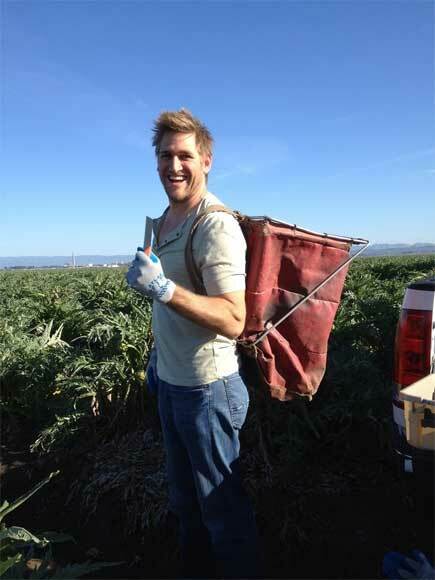 In addition, Chef Curtis Stone of Bravo TV’s Top Chef Masters, came to Castroville yesterday for a field tour of the new Heirloom artichoke crop. Chef Stone brought his entire team from his new restaurant Maude to help prepare for their March menu that will feature artichokes in all nine courses of the fixed menu and will feature his visit on his popular blog. 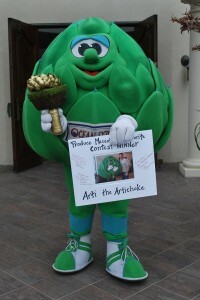 Ocean Mist Farms is also leveraging its Artichoke Club of 40,000 members to communicate information about retail promotions during peak season. The company sends a weekly “Arti Alert” email to club members with retail ads specific to the region they live in to help them find where they can buy Ocean Mist Heirloom Artichokes on sale. The same message is also shared via Ocean Mist Farms’ 11,600 Facebook fans and other social media channels. 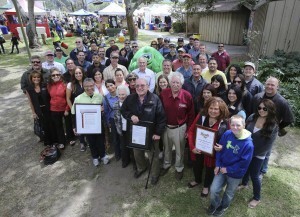 The highlight of peak season will be the Annual Castroville Artichoke Festival held at the Monterey County Fairgrounds on May 31 and June 1 where Ocean Mist Farms will be honored for its service and support of the Castroville community since 1924. The festival features Arti the Artichoke, Agro Art, chef demos, artichoke field tours, wine tasting and assorted activities for artichoke lovers of all ages. For more information about the company and its products, visit www.oceanmist.com. 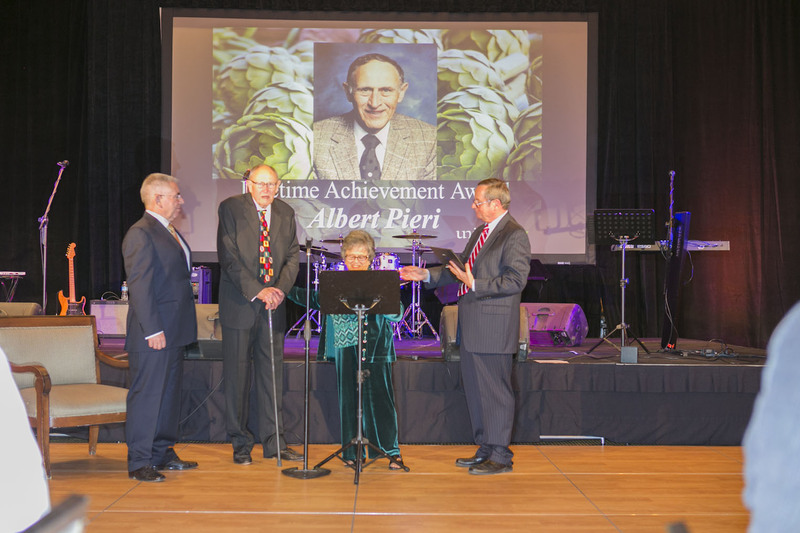 CASTROVILLE, Calif. – Feb. 14, 2014 – Albert Pieri, a second generation family owner at Ocean Mist Farms, recently received the UnitedAg Lifetime Achievement Award. Pieri worked at Ocean Mist Farms starting in the 1940s, for nearly 50 years. 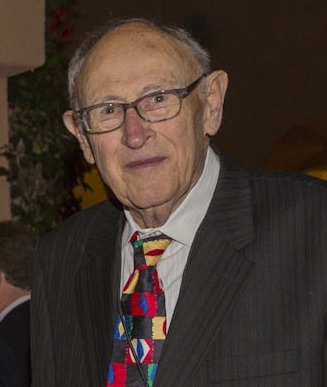 From the earliest days at California Artichoke and Vegetable Growers to the formation of Ocean Mist Farms, the largest artichoke operation in the United States, the Pieri family has devoted nine decades to agriculture in California with Albert Pieri playing a large part in the family’s leadership efforts. UnitedAg was founded in 1980 with a mission to unite agribusiness and is a leading voice for the industry in Arizona and California by providing economic solutions and benefits to members throughout the agricultural industry. 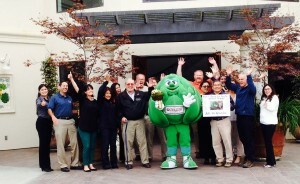 UnitedAg is headquartered in Irvine, Calif., with six regional offices throughout the state. UnitedAg’s Legacy program was started in 2011 with the retiring of its founder William Goodrich. 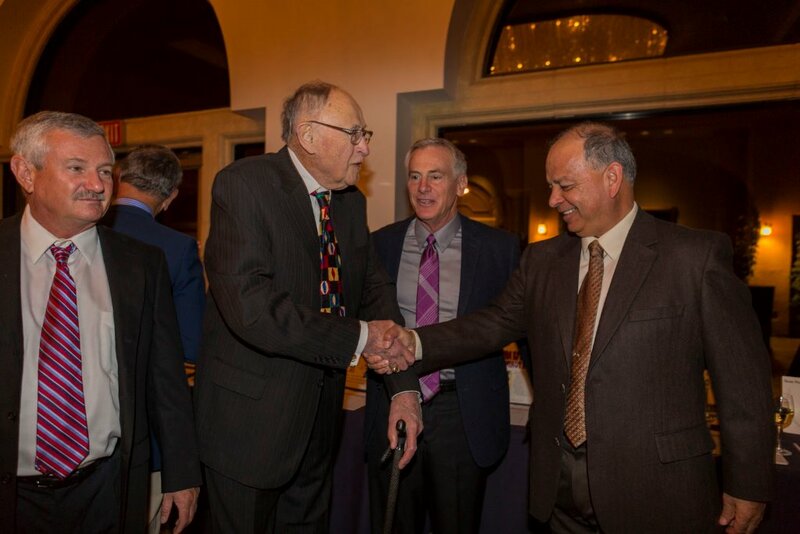 In December 2012 one of its founding members and longtime California produce leader Don Regan suddenly passed away and he was recognized posthumous with a special program and award – these two events created the Lifetime Achievement Award that is awarded annually. 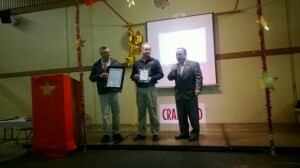 CASTROVILLE, Calif. – Feb. 4, 2014 -- Ocean Mist Farms received the Large Business of the Year Award from the North Monterey County Chamber of Commerce on Feb. 1; Dale Huss accepted the award for Ocean Mist Farms. 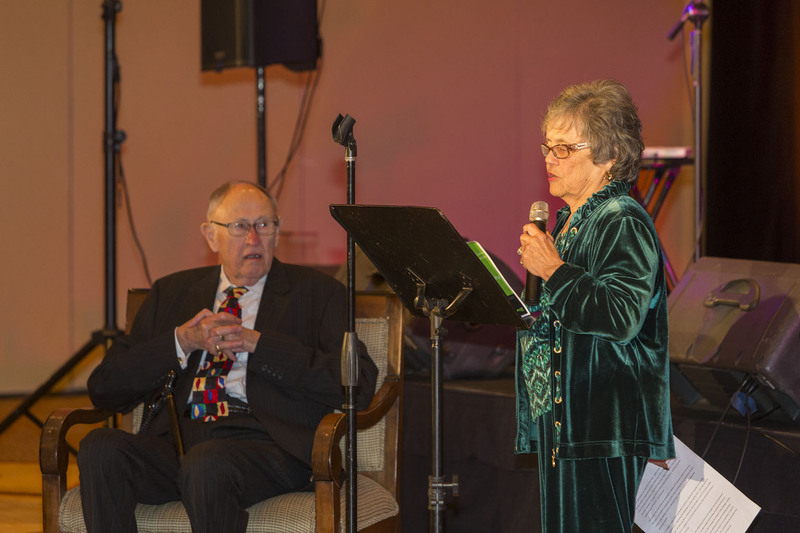 CASTROVILLE, Calif. – Jan. 28, 2014 – Ocean Mist Farms will celebrate a 90-year legacy of growing artichokes and premium fresh vegetables with activities planned throughout the year ahead. 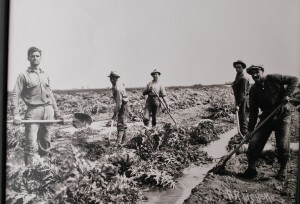 The fourth-generation grower-owned business was founded by Italian Immigrants in 1924 that started the business by growing artichokes and Brussels sprouts along the Pacific Ocean’s Monterey Bay in Castroville, Calif. Today the company farms in multiple locations throughout California, Arizona and Baja Mexico and its famous artichokes have been proclaimed the official state vegetable of California. “Our land may be the foundation of Ocean Mist Farms, but it really is the people who build our legacy,” Mark Reasons, facilities manager and member board of directors. Some of the activities Ocean Mist Farms has planned this year to celebrate its anniversary include the redesign of the company website and the creation of a new Artichoke Club website (artichokeclub.com); branding its original root stock variety that dates back to 1924 as an Ocean Mist Farms Heirloom Artichoke and sharing a new video that tells the company’s 90 year legacy story. 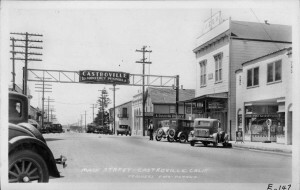 The highlight of the anniversary festivities will be at the annual Castroville Artichoke Festival – this year held at the Monterey County Fairgrounds May 31 and June 1 – where Ocean Mist Farms will be honored for being a part of the community since 1924.